The annual Singapore Yacht Show returns this April with twice as much to offer. With the highly anticipated Singapore Yacht Show just around the corner, the air was abuzz with excitement as we stepped on≠ board the Royal Albatross -the oldest vessel that will be on display at the upcoming event -for a sneak preview of things to come. A tall ship built in 2001, the Royal Albatross has been undergoing refurbishment for the past five years. Now at the brink of completion, the ship boasts a luxury interior while towering impressively over the other yachts moored at the marina. If the Royal Albatross’s behemoth presence at this year’s show isn’t a good enough indicator that the Singapore Yacht Show has come of age, the other 94 vessels that will be on exhibition certainly is. 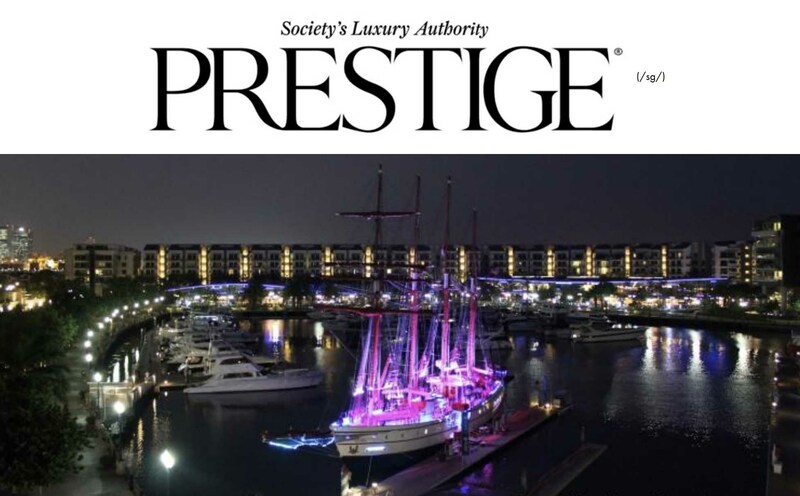 “The show has grown tremendously over the four years since we started, practically doubling in size at each edition,” confirms Andy Treadwell, managing director of Singapore Yacht Events, organiser of the Singapore Yacht Show. To be held at the ONE0 15 Marina Club from April lo-13, 2014, this year’s affair will also showcase fine art, modern supercars, classic cars and even luxury properties. “The team is working flat-out to cope with the interest in the show, but we are loving every minute and looking forward to a stand-out show in April,” the show’s Event Director Phil Blake adds. With so much to offer, the Singapore Yacht Show 2014 looks set to be the best one yet.